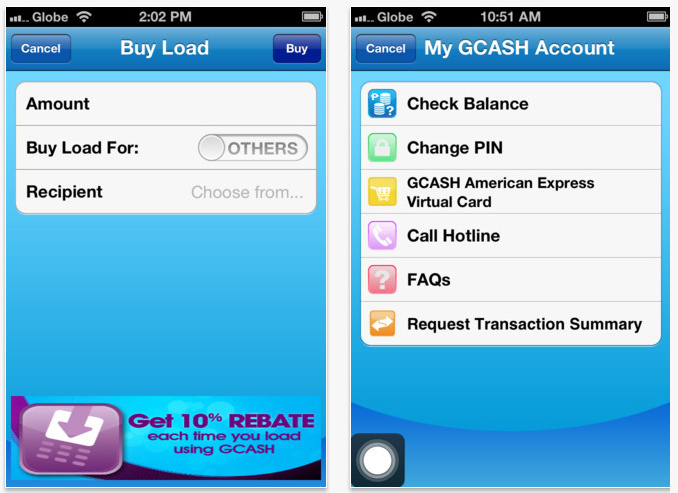 Globe GCash Mobile App is now available for iPhone, Android and Blackberry smartphones. GCASH is a fast and secure way to send and receive money, pay bills, and buy prepaid airtime load anytime, anywhere! It is available to all Globe and TM subscribers in the Philippines. The new GCASH App for iPhone and Android smartphones is an internet-based, simple-to-use application which lets you conduct a transaction without the hassle of memorizing keywords and access numbers. It makes it more convenient for users to do GCASH transactions; all that is needed is your mobile pin and enough GCASH credits in your mobile wallet to fund the transaction. The app boasts of clean and intuitively-designed screens that will guide you in doing your GCASH transactions. On top of the full color user-friendly interface, the new GCASH App for iPhone gives you access to your contact list without having to switch applications. 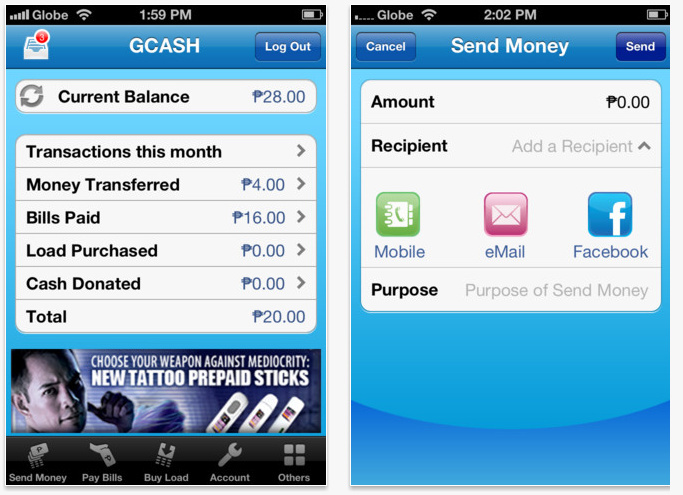 In addition, the “moneybook” feature of the app gives you access to the list of your GCASH transactions for the month.